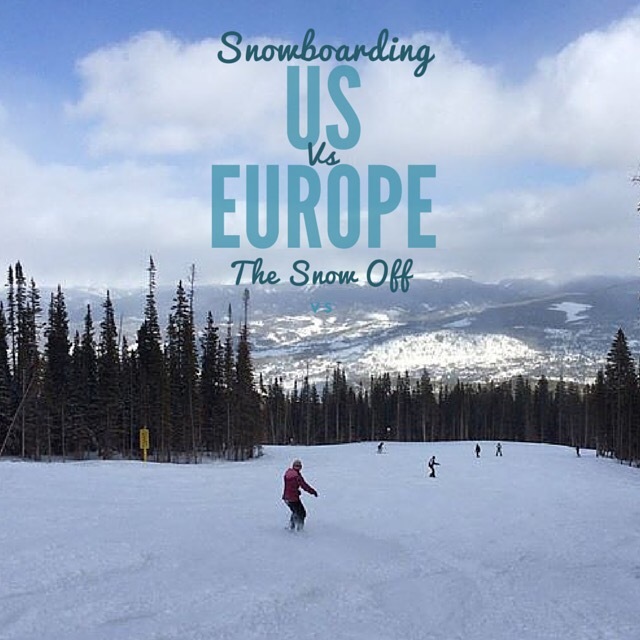 I’ve now been incredibly fortunate enough to snowboard in both American and European resorts, and while I can’t say I’m now an expert in both, I did notice some distinct differences between the European slopes and their American counterparts. 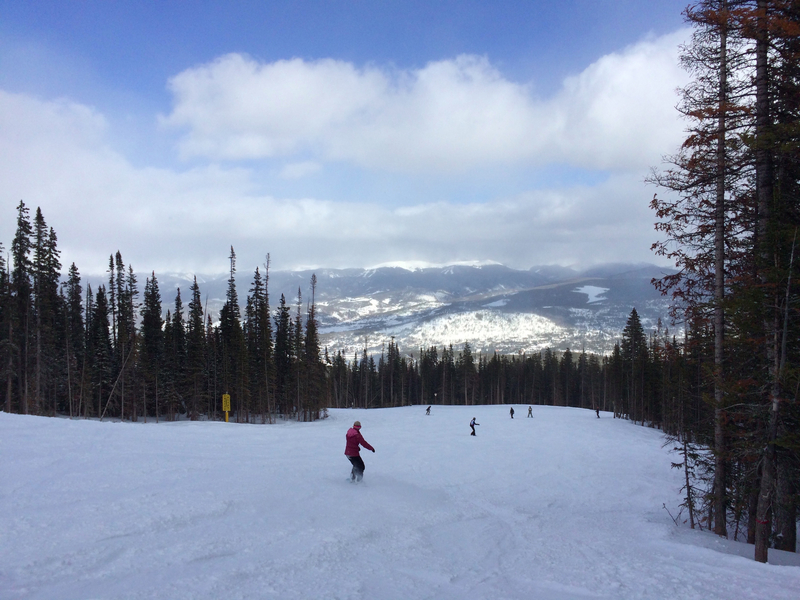 I’ll caveat this by saying I have very limited experience of US snowboarding – one week/two US resorts – so this may not be a generalisation, and I’d love to hear from anyone who has other experiences or disagrees! 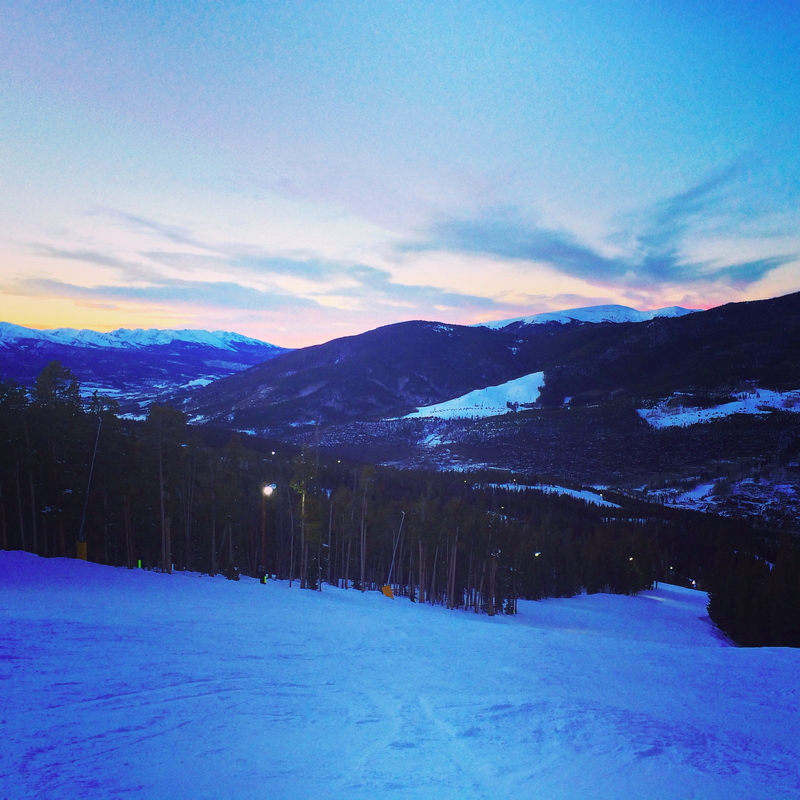 The big one really – lift passes are so much more expensive in the US than they are in Europe! The cost of a five day lift pass in Europe ranges around €165 or about $185 at today’s USD rates. That same pass is $500 in Breckenridge/Keystone. I did wonder how some people afford it. There is a local’s pass that they sell up to around December which is a bit cheaper, and lasts the full season (but we didn’t realise and missed the cut off – Grrr) but you’re still looking at hundreds of dollars difference for the same time period. 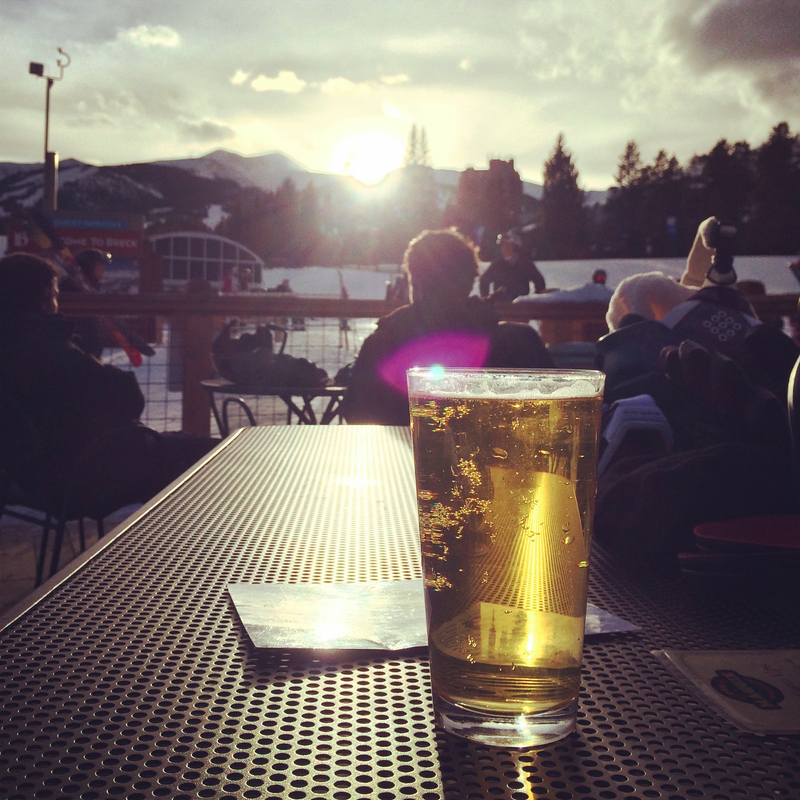 Generally food on the slopes in the US isn’t cheap. A pint of beer on the mountain was around $6 a pint. That’s what I’m kind of used to paying in Central London. Sestriere on the other hand, was dirt cheap – €3 a (very good) glass of wine, and in some cases as cheap as €8 a bottle! I remember the wine in Austria being similarly cheapish – of course it’s all local. However that might not necessarily be representative of all Euro resorts (I understand France is scarily pricey for booze). Coupled with the on-slope beer prices, (not to mention tipping your bar tender, which you’d almost never do in Europe) it really is an expensive past-time in the US. 3. And again cost – How much for a lesson??! When I go for a week of snowboarding I usually like to have a short half day lesson on my first day to help me find my feet, get my confidence back and generally see if I can pick up some tips (I always do!). A one-on-one half day snowboard lesson in Sestriere cost me about €100 for a couple of hours – that works out as $125 odd. In Breckenridge that same lesson would cost me $600. Seriously. Because lessons are freaking expensive, no one takes them – so there aren’t a million ski schools out on the slopes for you to have to weave in between. Better still, you NEVER have to experience the humiliation of a snake of 5 year olds ski past you at 40mph making you look totally stupid as you pick yourself off the floor after your latest crash. It might have just been me, but I did seem to think that the pistes/trails in the US resorts were really wide. That’s great for an inexperienced boarder like me, who needs a bit of space to turn. The pistes in the US resorts felt like they’d been created with both skiers and boarders in mind, rather than Europe which feels distinctly ski-ey. 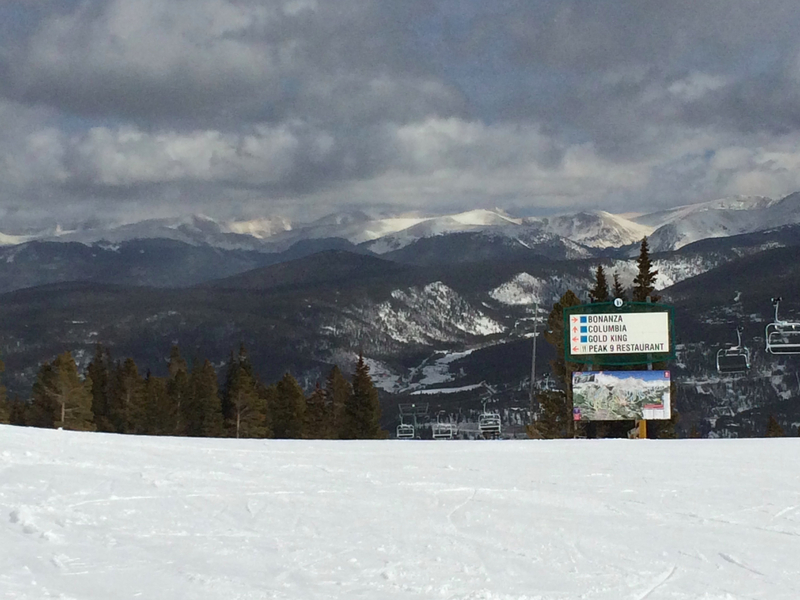 Not a reference to Colorado’s drug laws, but Breckenridge and Keystone are high resorts. 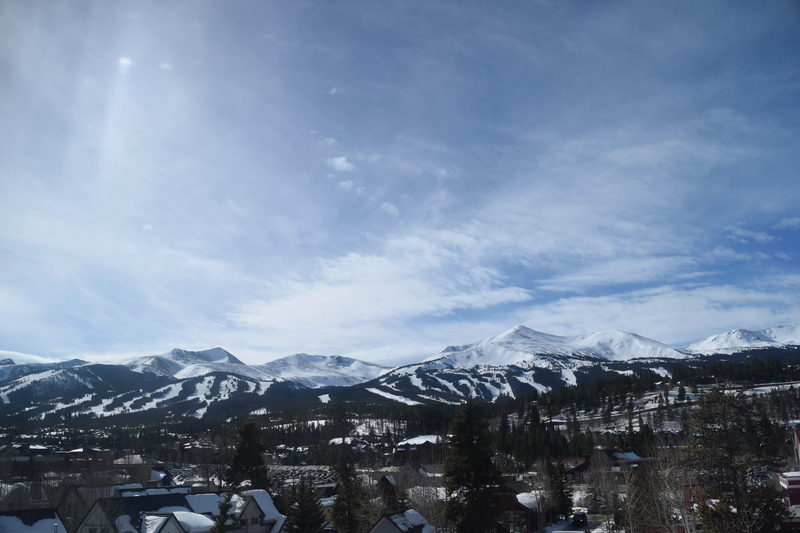 Bruce boasts the highest ski lift in Norther America, at 12,000 odd feet. Consequently the altitude gets to you and seemingly even bending over to tighten your boots is a serious efforts. I never noticed this in Europe, so I’m putting it down to the altitude. Colours on piste maps mean different things depending on where you are. If you’re used to the Euro-grading of Blue-Red-Black, you’ll be confused. A US Black is probably a Euro-Red. a Euro-Blue is a US-Green. A Black is probably a Double Diamond Black. Or could be a single diamond black – you might not know until you try it. It’s a bit confusing at first, if you know your Euro-level (early Red for me), to understand how that compares to the US and where you should be skiing. You really have to give them a try and see. By the end of the week I did a single diamond black, but I have no idea what that means for my progression in real terms. The pistes are all really well signposted, and it’s really easy to see which run you’re on. IN addition, the maps we had showed which runs were flat/cat tracks, which meant that I could avoid them and didn’t end up getting really annoyed when I had to take my board off and walk while all the skiers poled past me. Europe doesn’t do that well. In Europe, you can occasionally get away with not everyone listening to your conversation in the Gondola. You’ll not be able to understand everyone else on your ski lift. Not in the US. Everyone speaks English. It takes some getting used to overhearing and being overheard. The word “Grooming” means something totally different in the Europe…. Nice post and good layout. Nice to meet you. Used iPad to look at Matas – equally impressive but for different reasons. Admire your adventurousness.